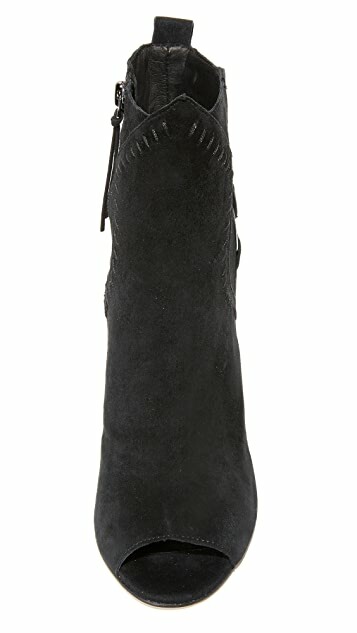 Suede Rebecca Minkoff booties with tonal whipstitching and a metal buckle. 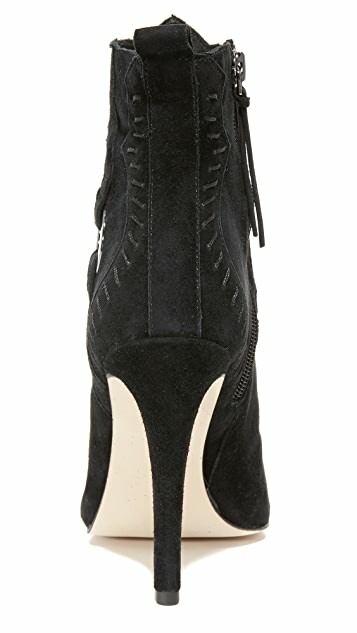 Peep-toe silhouette with pull tab at the top line. Exposed side zip. Covered heel and leather sole.